The Split archipelago is probably the most interesting of all Croatian archipelagos, as the country’s trendiest, most romantic and picturesque islands can be found off the coast of Split. 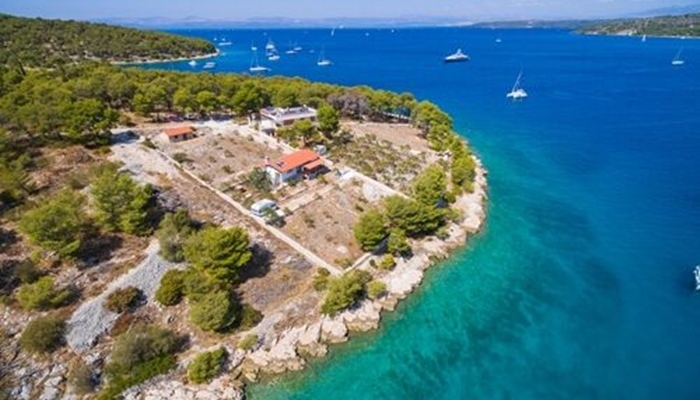 You will be spoiled for choice on the islands of Hvar, Brac, Vis, Bisevo and Solta, with lots of trendy towns, hidden beaches, unspoiled nature and historic treasures. The best part is that the islands are easy to reach, which means that there is plenty of time to really get to know them. 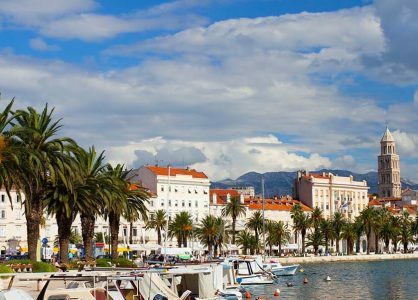 Island hopping cruises typically start in the beautiful city of Split, the second largest city in Croatia. If you have some time to explore the city before your cruise starts, we strongly recommend to do so. The Old Town is just a stone’s throw away from the harbour so it would be a shame to miss the opportunity. 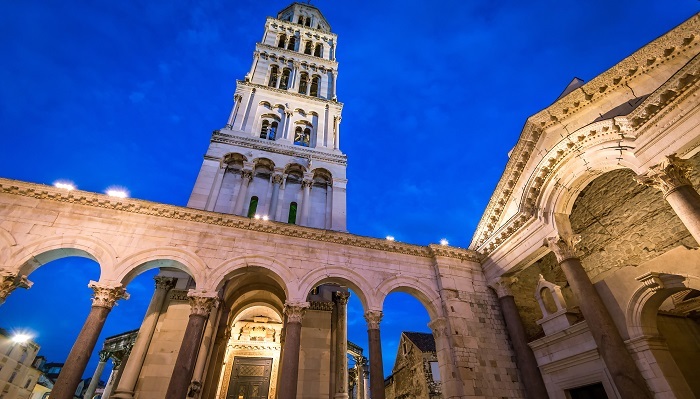 Simply drop your luggage off at your ship and head off to explore the beautiful Diocletian’s Palace. Once you board your ship, it is time to surrender to the slow paced island life that Dalmatia is well known for. If Hvar island is first on the agenda, make sure to put on your most stylish outfit and get ready to soak up the atmosphere in Croatia’s trendiest place: Hvar Town. Hvar Town is the Cannes of Croatia, with its glamorous clubs and trendy bars. It is the perfect example that ancient monuments and modern trends can be combined in a very graceful and natural way. 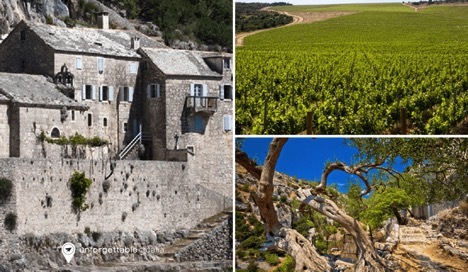 The rest of Hvar island could not be more different from Hvar Town, you will discover a beautiful natural landscape, romantic hidden beaches, rolling hills, vineyards, olive groves and fields of fragrant lavender. Brac is a great island to explore if you would like to catch a glimpse of the authentic island life in Dalmatia. Especially the villages of Splitska, Pucisca and Milna are worth a visit if you want to find out how people used to live. The villagers still earn a living through fishing, farming (olive groves and vineyards) and cutting the famous white stone that is used in buildings all around the world, even in The White House. 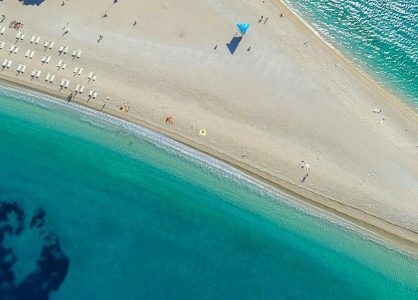 A visit to Brac would not be complete without spending at least a few hours on Zlatni Rat beach, Croatia’s most beautiful beach. The beach lies close to one of the islands bigger towns, Bol, which is a great place to go for a drink or a meal after spending some quality time at the beach. Solta is a charming, small island that does not have any particular interesting sights to attract visitors, but it is the tranquility makes it a nice island to visit. The village of Maslinica is undoubtedly the prettiest, it has that postcard-perfect promenade lined with palm trees and old stone houses with terracotta roofs. There are many sheltered coves with rocky beaches all around the island and the true value of Solta’s coastline is that every visitor can find a little bay or cove all for themselves. The islands of Vis and Bisevo are often said in the same breath. 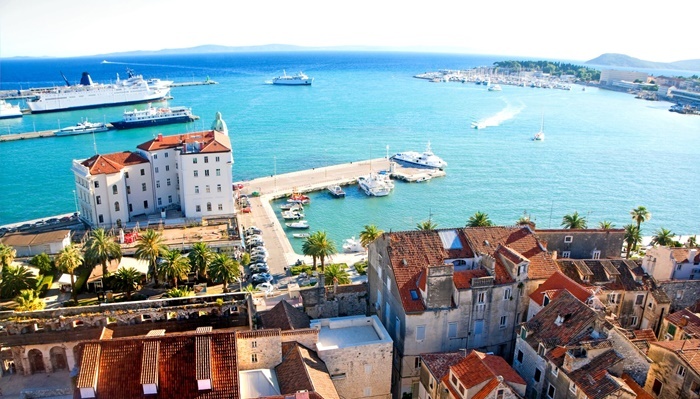 Croatia’s slogan “The Mediterranean as it once was” truly applies to these two beautiful islands. From WWII until 1995 the island of Vis was an army base, which is one of the main reasons why Vis is still unspoilt. Its lack of development is what makes it so special for tourists. The authenticity can be experienced best in Vis Town and Komiza. The neighbouring island of Bisevo is home to some beautiful sandy beaches, such as Porat beach. A popular attraction on the island’s shore is the Modra Spilja, the Blue Grotto. The inside of this cave displays a beautiful, glowing blue colour when sunlight shines through a crack in the ceiling. This extraordinary light show can only be observed between 11 and 12am, when the sun hits the cave in exactly the right angle. Make sure you don’t miss this amazing natural phenomenon, it will be one of the highlights of your cruise. Unforgettable Croatia offers island hopping cruises from £799 or luxury island hopping cruises from £999 including flights and private transfers.